The proposed Trump budget released today would slash many social services, but a bipartisan bill in Congress would increase support for one perpetually underfunded activity -- family caregiving. The Credit for Caring Act would offer a federal tax credit of up to $3,000 annually for family caregivers who qualify. “Family caregivers often risk their own health and financial security in order to assist their parents, spouses, and other loved ones. They tap into their savings accounts, stop saving for their future, and neglect their own health care,” said AARP Chief Advocacy and Engagement Officer Nancy LeaMond. The Trump administration's budget seeks $1.5 trillion in nondefense cuts and $1.4 trillion in Medicaid cuts over the course of a decade, while adding nearly half a trillion dollars to defense spending. The plan, titled “A New Foundation for American Greatness,” would cut anti-poverty and safety net programs, but leave Medicare and the retirement portion of Social Security untouched. The Credit for Caring Act would provide some financial relief to family caregivers who work by helping with the cost of services such as in-home care, adult day care, respite care, and other types of support. Specifically, the bill would give eligible family caregivers the opportunity to receive a tax credit for 30% of qualified expenses above $2,000 paid to help a loved one, up to a maximum credit of $3,000. About 40 million family caregivers across the U.S. provide 37 billion hours of unpaid care, valued at an estimated $470 billion annually. 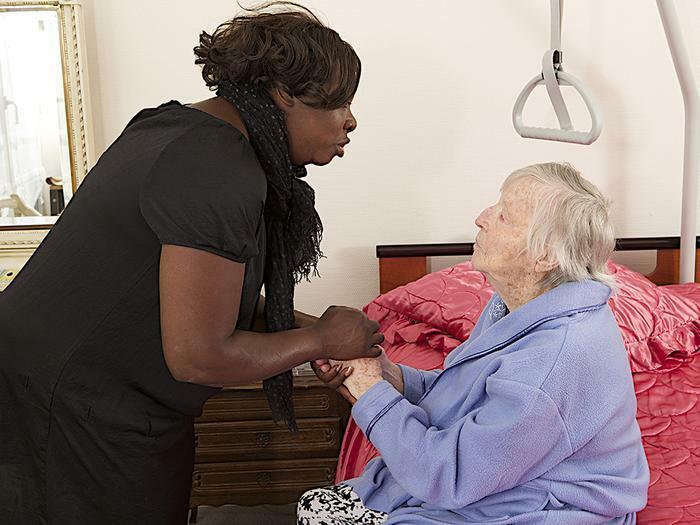 By helping older adults and people with disabilities live independently in their homes and communities, these family caregivers also save taxpayer dollars, delaying or preventing more costly nursing home care as well as preventing unnecessary hospital stays. It's estimated that more than three quarters (78%) of family caregivers pay out-of-pocket to provide care for their loved ones, spending an average of nearly 20% of their annual income in 2016. In dollars, this amounts to roughly $7,000 annually in out-of-pocket costs related to caregiving expenses. Long-distance family caregivers spent even more because of travel and other costs, averaging nearly $12,000 last year. “Support for family caregivers is not a partisan issue—caregiving touches all of our lives,” LeaMond said. Across party lines, a strong majority (87%) of likely voters age 50 and older support a tax credit for working family caregivers, according to an AARP poll conducted November 6-8, 2016. Sponsors of the measure are Senators Joni Ernst (R-IA), Michael Bennet (D-CO), Shelley Moore Capito (R-WV), and Elizabeth Warren (D-MA), and in the House, Representatives Tom Reed (R-NY) and Linda Sánchez (D-CA).